Portofino is the hot press companion to Italia Acqerello's fine cold-press papers. It delivers a beautiful, silky smooth surface that gives traditional wet techniques a new look. 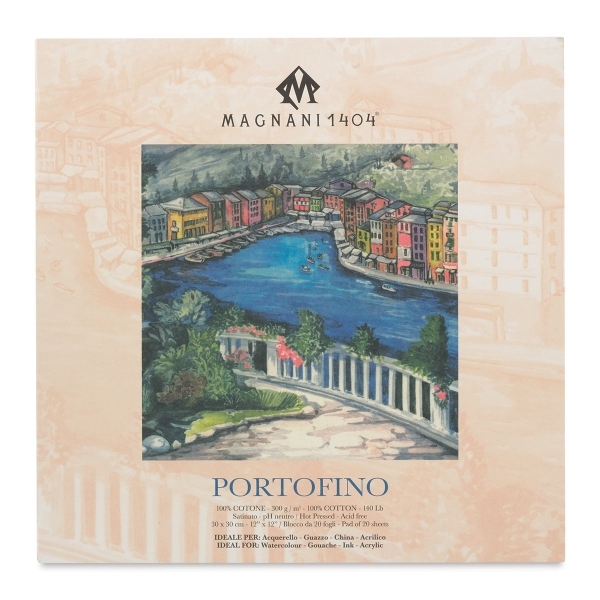 Portofino is designed specifically for wet media, such as watercolor, gouache, acrylics, and ink. It is mouldmade in Italy of 100% cotton fiber, and is neutral pH. 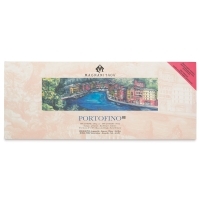 Portofino paper is acid free and chlorine free, with a smooth, hot-pressed surface. 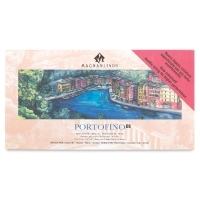 These pads of 20 sheets are glued on the long side, ideal for work in a landscape format. Made by the Magnani mill. 300 gsm/ 140 lb.